Sarah Berseth, PE, has been appointed Minneapolis Office Director at HGA. 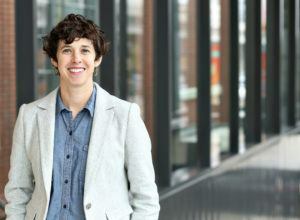 She will direct daily administrative and operational functions of the 240-person design firm in downtown Minneapolis. Berseth continues in her primary role as Mechanical Engineer, where she has directed mechanical infrastructure work for a variety of corporate offices, historic renovations, and office tenant improvements since joining HGA in 2004. Among her recent Twin Cities projects are the Ramsey County Library Shoreview, State of Minnesota Capitol Renovation, and B.H. Whipple Federal Office Building Modernization. She is a graduate of HGA’s Enterprise Leadership Program Class of 2017, which is a firm-wide initiative that trains future leaders to assume greater roles within the firm. Berseth has a Bachelor of Architectural Engineering from Pennsylvania State University.